A selection PZD yellow zinc plated single thread countersunk screws in popular sizes. Includes sturdy metal portable case with removable plastic compartments. 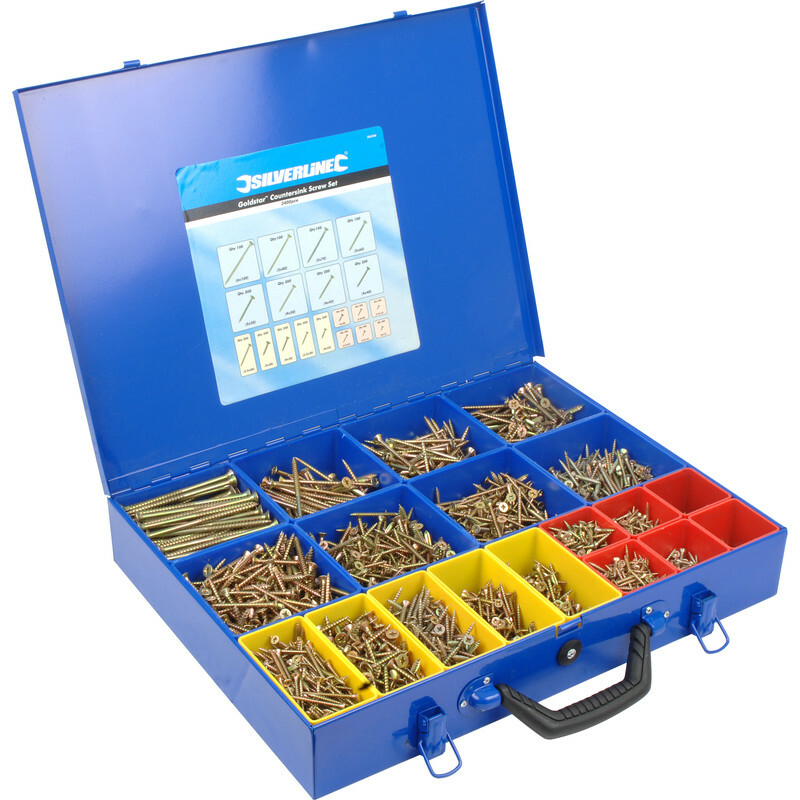 Goldstar Countersunk Pozi Screw Pack & Case (3400 Piece) is rated 4.8 out of 5 by 6. Rated 5 out of 5 by Ciderman63 from Brilliant Needed a good range of screws rapidly. Excellent range of sizes, very good quality and the best price around. Delivery very quick,would highly recommend this product. I would definitely recommend Toolstation. Rated 5 out of 5 by Blueband from The case I have to say I am not a fan of the gold star range as there are much better on the market. the metal case and the amount of screws was hard to beat and I did look elsewhere. For the price and the case which will last years I thought it was worth a try and glad I did as I use the screw I can fill the trays with my preference and sizes. Rated 5 out of 5 by NeilP from Brilliant screw pack I've only just purchased this screw pack but they all seem to be really great quality. Rated 5 out of 5 by williejog from Quality Screws Every size & length of wood screw Quality with Pozidrive heads for ease of use.